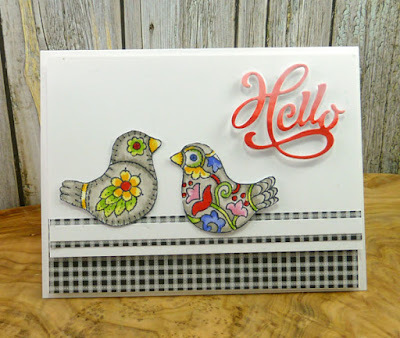 Smitten: Serendipity Stamps Blog Hop #2- January!! How cute, Vickie! Love the color on your birds & the black/white check pattern accents. What a nice surprise. Don't see much Folk Art anymore. Love your card. This is a lovely card ! I love the pattern on the birds. Sorry for my bad English. I like the colorful birds and the black and white background. LOVE this card! I'm so in love with these little embroidered birds. Adding a bit of grey to the birds really sets them off - I'll have to remember that! so coloring birds, beautiful card! 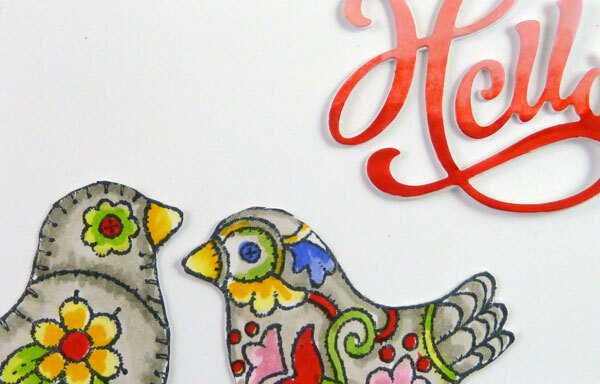 Love the way you colored the birds! Pretty card! Love the black & white with the colorful birds! Very pretty card! These are the 'tweetest' birds and so colorful. Love them paired with the black & white!